Evanston is one of 14 high schools that competes in the Metro Girls high school league. The Evanston girls high school team is made up of girls from a combination of schools in Evanston and on the north side of Chicago, including Lincoln Park High School, Northside College Prep High School, Roycemore and North Shore Country Day, as well as Evanston Township High School. If you are interested in playing for Evanston and your school isn't listed, please contact Carrie Ballard at . The team includes girls who have just started playing hockey, as well as girls who have been playing it for years. It's a great group of girls who compete hard and have as much fun on the ice as they do off of it! High school hockey practices 2-3 hours a week, with 1-2 games a week, as well. Practices usually occur on weeknights and Friday evenings, with most games on weekends. The league has about 30 games a season. Conditioning and evaluations for the girls high school team take place in August with the season beginning in early September. The high school season ends in March. There is also a 3-on-3 spring season in April and May. Registration typically opens about 4-6 weeks before each season starts. If you would like to be added to our mailing list to find out when registration opens, please email . Evanston Hockey works hard to keep season fees steady. Girls high school hockey fees are announced in advance of conditioning and tryouts with discounts available for goalies and multiple siblings. Fees are approximately $2,600. Financial aid is available for those who demonstrate need. The dues adjustment form can be found on the website. 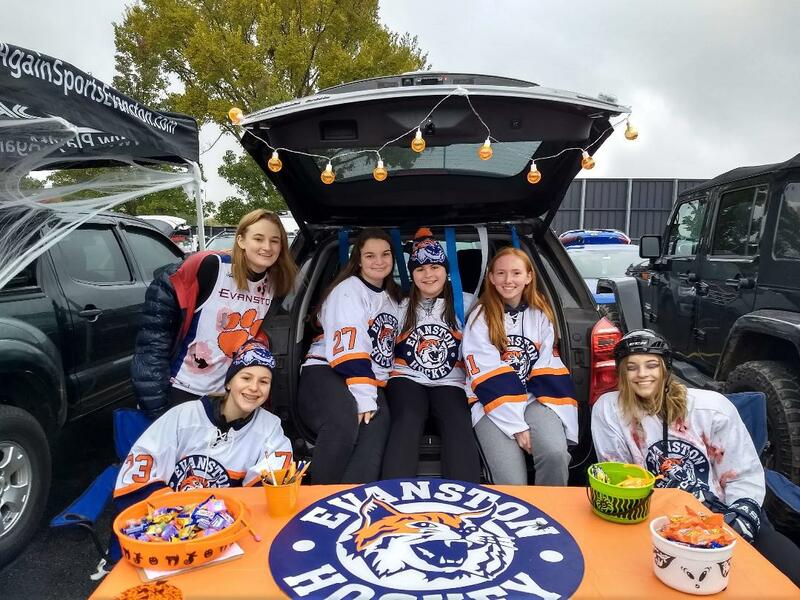 It should be completed and forwarded to the Evanston Hockey treasurer ( treasurer@evanstonhockey.com) in advance of registering for each season. The Evanston Hockey Finance Committee will consider all requests. Email questions to . The schedule for the girls high school team can be found on evanstonhockey.com. You can view the master calendar to see the schedule by week or you can view individual team schedules on the team pages. To stay current, you can download the most up-to-date schedule, which would include any changes as they happen, to your mobile devices and online calendars by clicking on the "options" drop down menu on each team's page. If you have more than one player, you can access multiple schedules by clicking on one of the team's pages and then clicking on "multi-schedule" where you have the ability to select more than one team to view schedules simultaneously.